The following bills were introduced at the request of the Judicial Council, and have been passed by the Legislature and signed by the Governor. To learn more about the legislative history of the bills, visit the Kansas Legislature's website. 2005 SB 40 - A bill amending the notice procedure to the surviving spouse under K.S.A. 59-2233. 2005 SB 261 - A bill repealing the Kansas Juvenile Justice Code and replacing it with the "Revised Kansas Juvenile Justice Code." See proposed legislation. 2006 H Sub SB 337 - A bill establishing a Commission on Judicial Performance. See the report making the recommendation. Note: This bill was orginally 2006 HB 2612. 2006 SB 354 - A bill amending K.S.A. 59-3083. See proposed legislation. 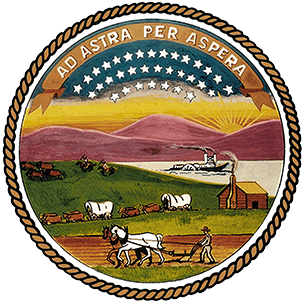 2006 SB 355 - A bill amending statutes relating to appeals in the Kansas probate code. See proposed legislation. 2005 SB 550 - A bill relating to legal forms and legal documents. 2005 HB 2352 - A bill repealing the Kansas Code for Care of Children and replacing it with the "Revised Kansas Code for Care of Children." See proposed legislation. 2006 HB 2607 - A bill amending the Kansas health policy authority. See proposed legislation. 2006 HB 2608 - A bill amending K.S.A. 75-37,121, 75-7413 and 75-7414 relating to administrative hearings conducted by the Kansas health policy authority. See proposed legislation. 2006 HB 2609 - A bill amending K.S.A. 61-2707. See proposed legislation. 2006 HB 2610 - A bill amending K.S.A. 60-308.